Anna represents and counsels clients in a variety of sectors, including Internet, consumer products, and entertainment on all aspects of trademark, copyright, patent, and related intellectual properties. 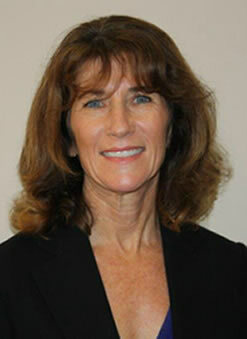 Her experience spans an excess of twenty years with primary focus in intellectual property matters. Anna is well-respected in trademark issues and is often sought to assist other attorneys with more difficult cases. Anna’s experience includes the prosecution of both domestic and foreign applications, representation in inter parte proceedings and appeals before the Trademark Trial and Appeal Board, preparation of opinion letters, counseling in the selection and use of trademarks, and representation in domain name dispute proceedings, such as, UDRP proceedings. Anna has prevailed in numerous domain name dispute matters in various forums, including the National Arbitration Forum, WIPO, and the Czech Arbitration Court Arbitration Center for Internet Disputes. In addition, Anna negotiates and drafts various types of agreements, including trademark licensing agreements, and assists in litigation matters for intellectual property disputes. Due to her representation of numerous online businesses, Anna is familiar with intellectual property issues directed to online businesses in addition to traditional brick and mortar businesses. Over her career, Anna’s clients have been wide-ranging and have included charitable organizations, consumer product manufacturers, renown artists and musicians, Internet technology companies and entertainment companies. Notably, Anna is responsible for obtaining many difficult trademark registrations, including, for example, date.com for dating services and for many Internet business related patents, including ‘mousetrapping’ and pop-up ad technology. She also participated in obtaining some of the patents for 3D printing technology. Further, Anna has settled trademark disputes with companies such as Metropolitan Life, Apple, Inc., Mattel and the Cherokee Nation.